The lurking question on Nashville’s transit plan: What about self-driving cars? Hytch offers a tool to increase participation in public transit. “Hytch is an incentive reward platform to get greater ridership on public transit and greater participation with more than one person in a car for ridesharing,” he said. 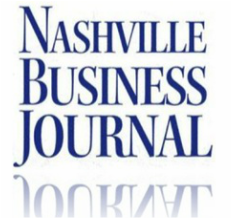 The Nashville Business Journal is pleased to announce this year’s Most Admired CEOs and Their Companies presented by Chase.NBJ solicited nominations from the public, and nominees then voted on one another by category. Nominees in every category also voted on the Lifetime Achievement Award, which this year goes to Ron Samuels, of Avenue Bank.